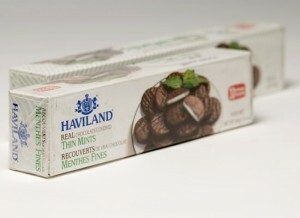 Candy wrapping can be done in several ways depending on the desired packaging and look. 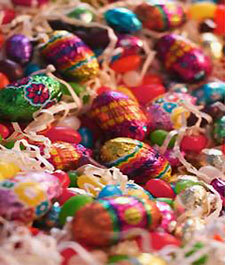 Confectionery Overwrapping provides a higher quality wrap than shrink and at a lower cost per box. You can wrap with paper or film our FA-ST. You can save 20% or more on film vs. shrink and flow wrap, have a better looking shelf-ready package and use less energy. We now utilise all Marden Edwards candy wrapping machinery for high-quality wrap and presentation of chocolates, candies, cartons and packages. Diefold Wrap will handle individual candies or brownies. Flowwrap is great for snacks. Which type of confe ctionery maker are you? Each has its need. Chocolatiers want to make their products look delectable, their packages too. Very often, the boxes are as meticulously wrapped and as well crafted as the sweets inside them. Diefold wrapping offers the opportunity to wrap individual candies to enhance their attractiveness and offer protection. With Diefold wrapping, the candy can be wrapped with foil, paper or film. Aside from the protection it provides, a BOPP film overwrap makes the beautiful box look even better. Holidays are approaching, can we get it gift wrapped? Sure, just use paper. Vending confections also need shelf life and tamper protection that comes from flow wrapping. They have greater emphasis on speed to match the mass production volume of their lower margin treats. Irresistibility from the snack machine window or the check out counter at the lowest price possible is your goal. The clear or printed film wrap makes that possible. Specialty makers wish to differentiate their products from mass confectioners and known brands. They search for tamper protection but do not want that vending machine look. Old fashioned look at new fashioned production rates. Who has that mix? We know. This candy company wanted to wrap their boxed candy in paper for its seasonal applications …Read the Case Study. This specialty candy manufacturer wanted to wrap several box sizes including up to four boxes, two over two… Read our Case Studies. The packages in your industry are as vast as the assortments they contain. Each has a generic and a specific need. We know them both.